Fitz works at Springfield Police Department. 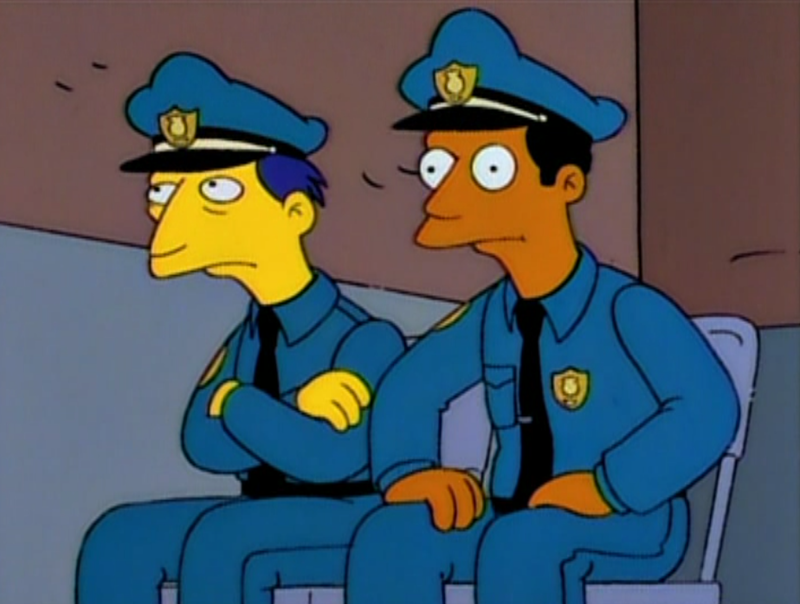 When Marge started to work at the Springfield Police Department, Chief Wiggum ordered him to sleep with Garcia. Modified on June 16, 2015, at 07:24.